2019-05-14 11:30 12:30 Toronto - Tent C1/D Barnaby Never Forgets (Blue Spruce) Born and raised in France, Pierre spent most of his childhood doodling (particularly during math class) and always knew he would grow up to make his living as an artist. He studied animation in Paris and has worked for over ten years in the animation and video game industry in France, Canada and the United States. He then realized that illustrating and writing children’s books was his true calling and now spends his days drawing pictures, writing stories and strumming his guitar (or ukulele depending on the mood). His clients include Candlewick Press, Simon and Schuster, Penguin Random House, Blue Apple Books, Dreamworks Animation and Highlights Magazine. 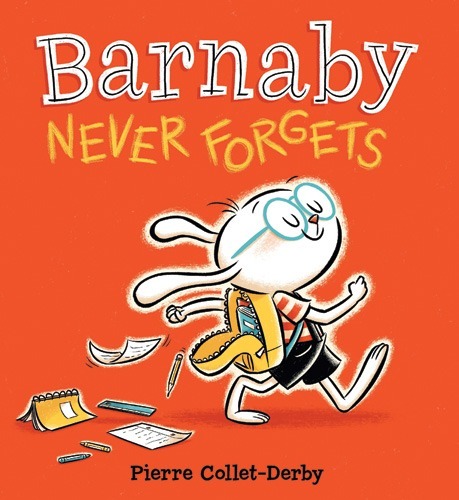 Pierre’s debut author/illustrated picture book, Barnaby Never Forgets, was released in July 2017. He also recently illustrated the Bossy Flossie series written by Sheila Greenwald and Goodnight Selfie by Scott Menchin. 2019-05-14 10:00 11:00 Toronto - Tent C1/D The Better Tree Fort (Blue Spruce) Jessica grew up on the Canadian Prairies, and although she liked going to school, she had a terrible secret. She was a lousy speller. This made it tough because she really liked to write. It turns out that lots of writers can’t spell, and Jessica didn’t feel so bad after she got her first award for creative writing, back in grade three. On the trophy, her writing teacher had misspelled her name! Today, Jessica lives with her family and their dog Ivy in downtown Halifax in a house that is close to 150 years old. The floors slope, and all of Ivy’s rubber balls end up in one corner. Jessica writes about things she finds fascinating: rockets, tree forts, dinosaurs, giant lobsters, water guns, dogs, astronauts, camping pranks, and girls who can climb rope. She has had 15 books published to date. 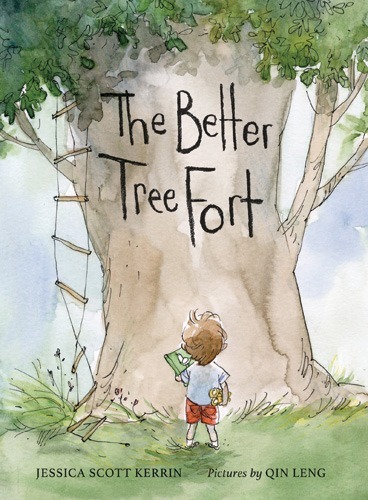 The Better Tree Fort is her first picture book, which she wrote for her son. 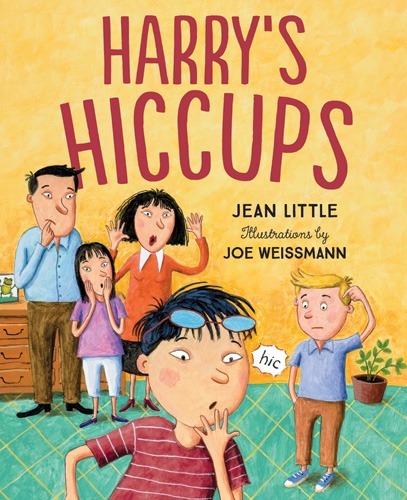 2019-05-14 11:30 12:30 Toronto - Tent C1/D Harry's Hiccups (Blue Spruce) Jean Little, the daughter of medical missionaries, was born in Taiwan but has been living in Canada since the age of seven. Jean began writing as a child and has never stopped, in spite of the challenge of her blindness. Despite limited vision, she attended regular school and graduated in 1955 from the University of Toronto with an Honours Degree in English. She taught special needs children until 1962. That year, her first book, Mine for Keeps, won the Little Brown Children’s Book Award and since then Jean has written 50 books, including novels, picture books, autobiography, poetry and short stories. Among them are some of Canada’s best-loved works for children, such as Dancing Through the Snow, Mama’s Going to Buy You a Mockingbird, Listen for the Singing, Pippin the Christmas Pig and Wishes. Jean writes all these award-winning books by using a talking computer. “My computer reads back what I write letter by letter, or word by word, or whole sentences, or it will even read an entire file aloud if I tell it to. You just have to punch in the right command. It will also read the punctuation, the menus, e-mail letters, etc. It will read Googled things too. I usually have it reading out the letters as I type and then I get it to read back what I have done only in whole words. It is tricky! The most important thing is that it will read back to me what I write,” she explains. Jean lives in Guelph, Ontario, with her sister, great-nephew and a house full of dogs. In addition to all her awards and nominations, she has received six honorary degrees, is a member of the Order of Canada for her outstanding contribution to Canadian children’s literature, and was she was recently presented with the Queen’s Diamond Jubilee Medal. 2019-05-14 10:00 11:00 Toronto - Tent C1/D I Love Sharks, Too! 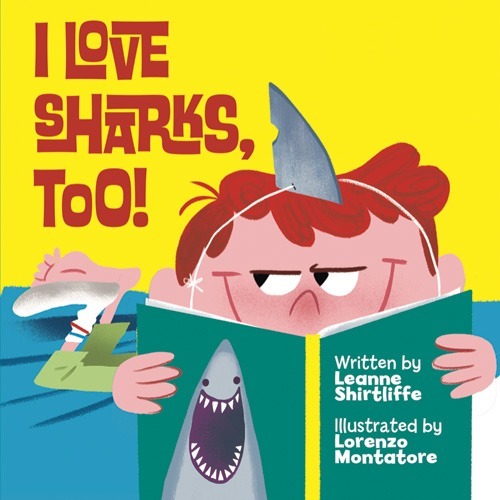 (Blue Spruce) Leanne Shirtliffe is the author of several picture books, including I LOVE SHARKS, TOO!, THE CHANGE YOUR NAME STORE, NO MORE BEIGE FOOD, SAVING THUNDER THE GREAT, and the upcoming SLOTH TO THE RESCUE (Running Press Kids, 2019). Known for wearing crazy hats when she presents to children, Leanne adores meeting and interacting with her readers. When she’s not writing, she can be found teaching high school or laughing alongside her husband and children. Leanne has lived around the world, including Winnipeg, Kingston, Waterloo, Bahrain, and Thailand. She now makes her home in Calgary, where (sadly!) there are neither sharks nor sloths. 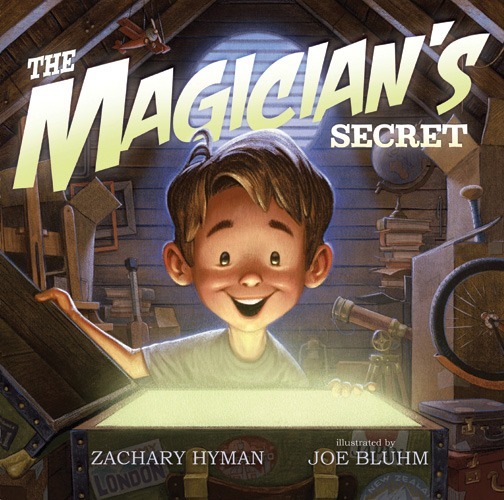 2019-05-14 10:00 11:00 Toronto - Tent C1/D The Magician's Secret (Blue Spruce) Zachary Hyman is the bestselling and award-winning author of two previous books for children, Hockey Hero and The Bambino and Me. He’s also a professional hockey player with the Toronto Maple Leafs, where he broke a seventy-year-old record for most short-handed goals by a rookie in his debut season. 2019-05-14 11:30 12:30 Toronto - Tent C1/D Sun Dog (Blue Spruce) Deborah Kerbel is the author of seven novels for middle grade and young adult readers. Born in London, England, she moved to Canada at the age of two and went on to attend the University of Western Ontario. Her novels have been shortlisted for the Governor General’s Literary Award, the Canadian Library Association YA Book of the Year, and the Manitoba Young Reader’s Choice Award. Deborah lives in Thornhill, Ontario, with her husband, two book-loving teens, and a schnoodle named Alfredo. Suzanne Del Rizzo gained international recognition for her book, My Beautiful Birds, and its stunning images rendered in polymer clay and acrylic. It was a 2017 New York Times Notable Children’s Books selection as well as a Junior Library Guild selection. It won the Malka Penn Award for Human Rights in Children’s Literature, and was an honorable mention for the Middle East Book Award. It was also the 2017 One Book, One San Diego for Kids selection. Among the many critical accolades My Beautiful Birds has earned are a New York Public Library’s “The Best Picture Books for Kids of 2017” selection, and a nomination for the Cybils Award. She lives in Oakville, Ontario. 2019-05-14 11:30 12:30 Toronto - Tent C1/D Tricky (Blue Spruce) Kari Rust has had a long career as an artist, but has only recently started making picture books. As an animator for many years, Kari’s goal was to bring characters to life on screen. Now she aims to bring stories to life with pictures on pages. The two disciplines are similar in many ways. Kari has also taught animation and art to people of all ages, and she currently mentors students at Vancouver Film School. She met her husband when they were studying animation at Emily Carr College of Art and Design. Now they have two lovable kids. Tricky is Kari’s first picture book. The idea for it developed while Kari was attending a picture book class and was given an exercise to base a story on a found photograph. At an antique store, she picked up a snapshot of a man and a dog, and wondered who these two characters could be. There were so many possibilities, but she followed the one that seemed the most fun. She also really likes dogs. Tricky owes some of its inspiration to a few dogs who played tricks on her family when she was growing up. 2019-05-14 10:00 11:00 Toronto - Tent C1/D Assassin's Curse (Red Maple Fiction) Since escaping from university with a pair of degrees in theoretical physics, Kevin Sands has worked as a researcher, a business consultant, and a teacher. He lives in Toronto, Canada. He is the author of the award-winning and bestselling Blackthorn Key series. 2019-05-14 10:00 11:00 Toronto - Tent C1/D Don't Tell the Enemy (Red Maple Fiction) Marsha is dyslexic and did not learn to read until she taught herself at age nine with Charles Dickens’ Oliver Twist. She now considers dyslexia her secret weapon because it taught her patience and perseverance but also helps her see stories from different angles. Her specialty is writing about war and the refugee experience from a young person’s perspective. She has a Master’s degree in Library Science and considers herself a librarian-detective. She’s won lots of awards including the Silver Birch X2, the Golden Oak, MYRCA, the Red Cedar, and the Geoffrey Bilson Award. And she is a princess! The President of Ukraine bestowed her with the Order of Princess Olha for her writings on the Holodomor, the genocide by hunger in Soviet Ukraine which took millions of lives. If you can’t pronounce Skrypuch (SKRIP-ick), she’ll answer to Princess Marsha. Don’t Tell the Enemy was inspired by the true story of an Ukrainian girl and her mother who hid three Jewish friends under their kitchen floor during the Holocaust. Marsha has written more than 20 books. Her best known work is Making Bombs for Hitler, and her most recent one is a memoir co-written by Van Ho: Too Young to Escape: A Vietnamese Girl Waits to be Reunited with her Family. Marsha’s books are available in many countries around the world and have been translated into numerous languages. 2019-05-14 13:00 14:00 Toronto - Tent C1/D Fourth Dimension (Red Maple Fiction) Eric is a teacher and began writing for his class to entice them to become more enthusiastic readers and writers. He has published 101 books which have been translated into fourteen languages and have won over 150 awards, including 4 Red Maple, 3 Silver Birch, a Golden Oak and children’s choice awards from across the country. Most recently, The Rule of Three won the Sakura Medal – voted the favourite book of international school students in Japan. In 2014 he received the Order of Canada. Eric presents each year to more than 100,000 students across Canada and around the globe. He is the co-founder of a children’s program in Kenya (www.creationofhope.com) that provides for over 300 orphans and impoverished children in Mbooni District. 2019-05-14 10:00 11:00 Toronto - Tent C1/D The Last Namsara (Red Maple Fiction) Kristen Ciccarelli is the internationally bestselling author of The Last Namsara and The Caged Queen. Before writing books for a living, she worked as an artisanal baker, an indie bookseller, and a ceramic artist. These days she resides in a blustery seaside cove on Newfoundland’s Great Northern Peninsula with her blacksmith and her rescue dog. She likes her coffee dark, her weather broody, and her house warmed by a wood fire. 2019-05-14 10:00 11:00 Toronto - Tent C1/D Sadia (Red Maple Fiction) Colleen Nelson is a teacher and award-winning YA author. Colleen’s previous novel, “The Fall” was nominated for a White Pine Award in 2014. Two other novels, “Pulse Point” and “250 Hours” were on the OLA Summer Reading List for 2018. Colleen lives in Winnipeg. She has two teenage sons and three grown step-children and really wants a dog, a West Highland Terrier, in case you were wondering. 2019-05-14 10:00 11:00 Toronto - Tent C1/D Skating Over Thin Ice (Red Maple Fiction) Jean Mills grew up in Willowdale, a leafy suburb of Toronto, where she cheered for the Leafs, read endless piles of books and started writing stories at a very young age. At age twelve, when the local North York Public Library included three of her poems in an anthology and introduced her as “a writer to watch”, Jean knew her career path was set: she was going to be an author. Jean earned a Masters degree from Queen’s University (specializing in Old Norse sagas), and during her university years, she was the Sports Director of the campus radio station, CFRC. There she was an announcer and sports reporter, experience she uses in her job with Curling Canada as a writer and editor for the Media & Communications team. Jean has been writing and editing professionally for over 20 years. Her essays, reviews, features and children’s stories have appeared in publications across Canada. She’s written material for the educational market and is a former college Communications teacher. And in her other creative life, Jean is a musician, singing the folksongs of Canada, the United States and the United Kingdom, and playing tunes on her Appalachian dulcimer. Skating Over Thin Ice is Jean’s first novel published outside the education market by a mainstream Canadian publisher – proof that you should never give up on your dream! 2019-05-14 13:00 14:00 Toronto - Tent C1/D The Strange and Deadly Portraits of Bryony Gray (Red Maple Fiction) E. Latimer lives in Vancouver, Canada. Her breakout success on the online writing platform Wattpad has resulted in a fanbase of nearly 90k followers, with over 20 million combined reads. When she’s not writing about eerie happenings and magical mix-ups, she makes ridiculous vlogs over on the Word Nerds YouTube channel, hosts chats on Twitter, and drinks far too much tea. 2019-05-14 13:00 14:00 Toronto - Tent C1/D A Time To Run: Stuart & Sam (Red Maple Fiction) Lorna Schultz Nicholson has published picture books (Puckster series), middle grade fiction and non-fiction, YA fiction and hockey non-fiction. Her novel, A Time to Run: Stuart and Sam, (Clockwise Press, March 2018) is the fourth book in her One-2-One series and is a YA novel about Stuart who has FASD (Fetal Alcohol Spectrum Disorder) and Sam who is Sir Winston Churchill’s top basketball player. Lorna loves anything to do with sports. She is so excited for the Red Maple nomination as she loves Forest of Reading because it encourages students to think about different issues. By the way, reading is one of Lorna’s favourite things to do. Lorna is looking forward to hearing from the students about their views on the two new characters featured in A Time to Run: Stuart and Sam. Lorna’s books are about diversity and friendships and family and emotions and feelings and… the ups and downs in life. We all have those ups and downs, and we’re all different. Lorna lives in Edmonton with her hubbie and two dogs, a whiny bichon shih tzu, and a naughty puppy she rescued from Mexico. Over the years she has been a television co-host and reporter, radio host and reporter, theatre and murder mystery actor, fitness coordinator and rowing coach. Whew! Thankfully, now she is full-time writer! 2019-05-14 10:00 11:00 Toronto - Tent C1/D Tracker's Canyon (Red Maple Fiction) Pam Withers has written eighteen bestselling young-adult adventure novels, several award winners or nominees. She’s also co-author of three nonfiction books including Jump-Starting Boys: Help Your Reluctant Learner Find Success in School and Life. She’s a popular speaker who tours extensively around North America. Pam has done time as a whitewater raft guide, kayak racer and instructor, journalist, editor and associate publisher. She lives in Vancouver, British Columbia, Canada with her husband, a professor. They have one son who used to serve as her teen editor but is now busy pursuing adventures of his own in Toronto. 2019-05-14 13:00 14:00 Toronto - Tent C1/D A World Below (Red Maple Fiction) Wesley King is the award-winning author of eight children’s novels, with six more to follow in 2019. His novels have been optioned for film and television and translated for release worldwide. He currently lives in Nova Scotia, but will be embarking on a circumnavigation attempt next year. And most notably to many students, he is rather tall. 2019-05-14 11:30 12:30 Toronto - Tent C1/D Canadian Structures and Sustainability (Red Maple Non-Fiction) James Bow is the author of three young adult fantasy novels, one young adult science fiction novel, and over seventy books of non-fiction for children. Educated as an urban planner at the University of Waterloo, his books have ranged in topic from trade during medieval times, to weapons of the future, to space missions to the Kuiper Belt, to green energy. He likes to write and lives amongst writers. His mother, Patricia Bow, was nominated for the Silver Birch Award for The Bone Flute. He currently lives in Kitchener with his wife, award-winning author Erin Bow, and their two children. 2019-05-14 11:30 12:30 Toronto - Tent C1/D Every Falling Star (Red Maple Non-Fiction) Susan’s first book, Bite of the Mango (2008), is the true story of a young Sierra Leonean victim of war and has been published in more than 30 countries, including Annick Press in Canada and Bloomsbury in the United Kingdom. Bite of the Mango was a YALSA’s Popular Paperbacks for Young Adults selection, and the White Ravens International Book of the Year. Bite of the Mango was shortlisted for the American Library Association non-fiction, young adult, book of the year and won the Ontario Library Association Red Maple award. Susan found her follow-up story to Bite of the Mango in the subject Sungju Lee, a former North Korean street boy. Sungju’s story, Every Falling Star, published in 2016 by Abrams was an Indies Introduce Selection of the American Booksellers Association; Library Guild 2016 Fall Selection; and is shortlisted for Japan’s top honor, the 2018 Sakura Medal. Susan’s latest book tells the story of a young survivor of the Yazidi genocide (Due out by Annick Press in the spring of 2019). Abducted by ISIS, Badeeah Hassan Ahmed managed to shield her 3-year-old nephew throughout her ordeal by saying the child was her own son. She gave him hope in the darkest of days by telling him they were playing a game. Badeeah’s abductor was an American convert to ISIS. As a journalist, Susan has written for the Sunday Times Magazine, Glamour, Marie Bella, Ms. Magazine and The Guardian, as well as numerous other magazines and newspapers. 2019-05-14 10:00 11:00 Toronto - Tent C1/D #NotYourPrincess: Voices of Native American Women (Red Maple Non-Fiction) Mary Beth Leatherdale is a seasoned veteran of children’s publishing, having written, edited, and consulted on children’s books, magazines, and educational resources for more than twenty-five years. She was a founding editor of Chirp, Canada’s first pre-school magazine, and the editor of OWL magazine. Always happy to take a break from her desk, Mary Beth likes exploring Toronto’s wild spaces with her dog Champ and volunteering as an assistant teacher at the Evergreen Brick Works Outdoor Education Program. Mary Beth’s interest in Indigenous issues developed early while attending Howard Harwich Moravian Public School (now called the Naahi Ridge Public School) with students from the Delaware Nation at Moraviantown. Lisa Charleyboy (Tsilhqot’in—Raven Clan) is a storyteller who has a background in fashion and a heart in all things Indigenous. Lisa is a writer, editor and broadcaster; she enjoys working on every platform where she’s able to share stories from the heart. Lisa is the founder of Urban Native Magazine, a Native lifestyle magazine geared toward inspiring Indigenous youth with positive success stories. She lives in Winnipeg. Together with Mary Beth Leatherdale, Lisa has edited the award-winning and critically-acclaimed Dreaming in Indian: Contemporary Native American Voices (2014), Urban Tribes: Native Americans in the City (2015), and #NotYourPrincess: Voices of Native American Women, which gives voice to Indigenous girls and women across North America. 2019-05-14 10:00 11:00 Toronto - Tent C1/D Trash Revolution: Breaking the Waste Cycle (Red Maple Non-Fiction) Erica Fyvie was born and raised in New York City. After receiving her MA in film, she was a script consultant for family films. From there she moved into educational publishing as a writer and editor. Trash Revolution: Breaking the Waste Cycle is her first book. To research it she (dumpster) dived into the world of trash: interviewing waste experts, touring a recycling centre, attending conferences, and participating in workshops about the lifecycle of clothing. She has presented to school groups, encouraging students to think about their stuff‚ and wondering if what we throw away says as much about us as what we keep. Erica lives in Toronto with her family, including a beloved cat named Marzipan. 2019-05-14 10:00 11:00 Toronto - Tent C1/D Turtle Island: The Story of North America's First People (Red Maple Non-Fiction) Kathy Lowinger was nine months old when her family fled Hungary in the aftermath of World War II and settled in Ontario. She studied anthropology in university and spent the first part of her career at the Ontario Association for Community Living working with advocacy groups. She joined the publishing world when she became the executive director at the Children’s Book Centre, later going on to become publisher at Tundra Books. Together with Eldon Yellowhorn, she has written Turtle Island: The Story of North America’s First People (Fall 2017), a history about North America’s Indigenous people from the Ice Age until the arrival of Europeans in 1492. The follow up to Turtle Island will be published by Annick Press in 2019. Kathy lives in Toronto with her husband and a menagerie of cats and dogs. In addition to writing, Kathy is a dedicated pianist. 2019-05-14 10:00 11:00 Toronto - Tent C1/D When We Were Shadows: A Holocaust Remembrance Book for Young Readers (Red Maple Non-Fiction) Born in Winnipeg, raised in Saskatchewan, Janet Wees had no running water or TV until she was 12. She became a voracious reader and borrowed books through the mail from the lending library in Regina to quench her curiosity about the world, and read adventures of girl detectives eg. Trixie Belden. Radio, and Eaton’s Xmas catalogue were sources of entertainment. Being a precocious child at age 5, her mother sent her to grade 1 every Friday afternoon. In Grade 8 the principal would occasionally ask Janet to ‘sub’ for a Grade 1 teacher who was late for school. Thus began her passion for teaching and learning. Janet attended the Universities of Saskatchewan, Calgary, and Oregon gaining her B.Ed in Special Education, and an M.Ed in Gifted and Talented Education. During her tenure she was involved in professional committees, volunteered for the Calgary Youth Science Fair and set up pen pal, environmental, Young Olympians, running, and debate clubs which she coached. She also judged debate at local and international levels. In 1959 Janet began writing a pen pal in Holland. It was while on vacation in Holland, with his family, that she discovered The Hidden Villlage and the seed for her book took root. Now retired, Janet lives in Calgary where her daughter also resides. She is a volunteer greeter at the Calgary Airport, and enjoys reading (favourites are Jhumpa Lahiri, Rona Altrows and Geraldine Brooks) writing letters (400 a year! ), travel, snowshoeing, old movies, writing stories, and photography. 2019-05-14 13:00 14:00 Toronto - Tent C1/D 36 Questions That Changed My Mind About You (White Pine) Former scriptwriter and advertising copywriter Vicki Grant has been called “a superb storyteller” (CCBC) and “one of the funniest writers working today” (Vancouver Sun). Her books have won The Red Maple, The Arthur Ellis and Young Canada Reads as well as been shortlisted for the Edgar, the CLA Book of the Year and many Forest of Reading awards. Her latest YA novel, 36 Questions That Changed My Mind About You, sold to over 20 territories worldwide. 2019-05-14 13:00 14:00 Toronto - Tent C1/D The Agony of Bun O’Keefe (White Pine) Heather Smith spent much of her early life wrestling with words. Not only was she a reluctant reader, she struggled with speech as well. Unable to pronounce certain words she became a walking thesaurus, anxiously swapping out words she wanted to say with words she could say. Today, Heather wrestles with words in a different way – she’s a writer! Instead of dodging them, she grabs them tight and finds them a home on the page. Heather’s books include The Agony of Bun O’Keefe, Ebb & Flow, and Angus All Aglow. Her east coast roots inspire much of her writing. 2019-05-14 11:30 12:30 Toronto - Tent C1/D Black Chuck (White Pine) Regan studied poetry at the University of Victoria with Patrick Lane and Lorna Crozier, and then promptly put the pen down to pursue a career in textile and graphic design. Now she spends her days designing apparel for kids, and her nights writing fiction for teens. She has no pets or children, but she is auntie, oba, and tädi to four surprising, funny little humans. She lives in Toronto with her partner, Guy. She also leaves love letters on subways for strangers to find. Black Chuck is her first published work. 2019-05-14 13:00 14:00 Toronto - Tent C1/D Catching the Light (White Pine) Susan Sinnott grew up in North Yorkshire, England, and has lived in Newfoundland since 1970. Married to a Newfoundlander, she has four adult children and seven grandchldren and she worked for many years as a physiotherapist. Always a scribbler, retirement gave her the time to write and to study writing with some excellent local authors and she was lucky enough to become part of the Port Authority writing group. She has tried her hand at non-fiction and short fiction but her favourite form is the novel. Her first novel, “Catching the Light”, was published in 2018 and an early draft won the Percy Janes First Novel Award. She is working on her second book. 2019-05-14 11:30 12:30 Toronto - Tent C1/D A Girl Like That (White Pine) Tanaz Bhathena was born in India and raised in Saudi Arabia and Canada. Her debut novel A Girl Like That was named one of the Best Young Adult Books of 2018 by PopSugar and Seventeen and was a Romance Times Top Pick. Her second novel The Beauty of the Moment releases on Feb 26 2019. Her short stories have appeared in various journals including Blackbird, Witness and Room. 2019-05-14 11:30 12:30 Toronto - Tent C1/D The Mosaic (White Pine) Nina Berkhout’s debut adult novel, The Gallery of Lost Species was acclaimed by the Toronto Star (“Berkhout does a masterful job”) and the Globe and Mail (“deeply moving”). The novel was named an Indigo and Kobo Best Book and a Harper’s Bazaar Hottest Breakout Novel. Berkhout is also the author of five poetry collections, including Elseworlds, which won the Archibald Lampman Award. Originally from Calgary, Alberta, she now lives in Ottawa, Ontario. 2019-05-14 13:00 14:00 Toronto - Tent C1/D Munro vs. The Coyote (White Pine) Darren Groth is the author of several novels, including the acclaimed YA works Are You Seeing Me?, Munro vs. the Coyote, and Infinite Blue. He was the winner of the 2016 Adelaide Festival Award for Young Adult Fiction and has been a finalist in numerous other prestigious prizes, including the Governor General’s Literary Award, the Sheila A. Egoff Children’s Literature Prize and the CBCA Book of the Year. Darren is a former special-education teacher and the proud father of a son with autism spectrum disorder (ASD). He lives in Delta, British Columbia. 2019-05-14 11:30 12:30 Toronto - Tent C1/D Recipe for Hate (White Pine) Warren Kinsella is a raconteur, bon vivant, and – occasionally – a Toronto-based lawyer, author and consultant. Warren has four sons and two daughters, most of whom love Bad Religion. (He adores them.) His wife is the beautiful and brilliant Lisa Kinsella, who in a previous incarnation dated Brad Pitt. Warren’s heroes are Malcolm X, Christ, Raoul Wallenberg, Joe Strummer, and his father. He’s also pretty sweet on his Mom, who calls him twice a day, because she worries about him. Warren plays bass in a punk rock group called SFH and runs the popular blog The War Room. Recipe for Hate (book one in the X Gang series) is his first book for young readers, he has previously published several adult fiction and non-fiction best- sellers.